« Fan Fight 2: Who Would Win A Coach Swap? We’ve finally reached that point where we can say so long to the bye week, and really start getting ready for Super Bowl XLVI. The teams will be leaving for Indy on Sunday, and media day will be Tuesday as things will really start to heat up. With that said, here’s the top 5 storylines of the bye week leading up to the big game on Feb 5 in Indy. 1. Gronkowski’s Ankle – The big TE of the Pats set a record with 16 touchdowns in the regular season, but during the AFC title game win over the Ravens, he was tackled and hurt his ankle. As Tom Brady’s favorite target, his status for the Super Bowl is the biggest injury on either side by far to watch for. 2. Pats Playing on Enemy Territory – The Patriots and Colts waged war over the years in some epic battles, and now the Pats will march into the Colts home, use their lockers and be the home team for Super Bowl XLVI. Colts fans had to cringe when Billy Cundiff missed that kick to send NE into Indy as the home team for the big game. 3. 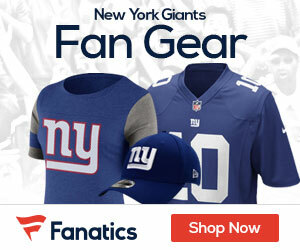 Time to Give Tom Coughlin his Props – The Giants head coach seems to be on the hot seat every season, including this season when the G-Men were struggling. Now he and the team went on a big turnaround, and they are playing for their fourth Lombardi. It’s time to give credit where credit is due – Coughlin needs to be mentioned as one of the top coaches in the NFL. End of story. 4. The Commish Gets a New Deal – Roger Goodell will be around for a very long time, as the NFL Commissioner got an extension on his deal that will keep him running the NFL until 2019. He’s been in the public eye probably more than any other commish, having to lay down the law on players, talk about concussions, and already going through a strike. He’s done a solid job, and it was a good decision to keep him around for another 7 years. 5. Eli Better Than Peyton? – Baby brother could be the verge of passing his older bro next Sunday if the Giants can top the Patriots. If they do, not only will they become the third team to be the same opponent twice in a Super Bowl (Steelers over Cowboys, 49ers over Bengals), but it will also be the second ring in four seasons for Eli, who will overtake Peyton for rings in a career. Like Coughlin, Eli seems to take a beating from the NY media, but finally having his best season – it’s time as well to give him his due. Eli will eventually (if not this coming week) surpass Peyton in Super Bowls, but he will never be seen as better than Peyton (as attractive as a story as they’re making it it’s just SB hype). The reason is MVP awards, Peyton has multiple, Eli will NEVER win one as long as some teams are playing in unfair conditions for statistical comparison (I’m looking at you Mr. Brees). That said, on the road, deep in the season, in a rough environment, I’m going Eli over most other QB’s even Peyton (who also played his home games in a dome, before moving to a weather controlled retractable roof stadium). I don’t agree on Coughlin. Yes, he finally told his DC to stick with what works and maybe be heading to his second SB win. Let’s not forget the underachievement of 09 and 10. Let’s not forget that this team was 7-7 and finished the season with a negative point spread. Let’s not get crazy, Coughlin is still the guy who can’t consistently prepare his team for important games. Players are out there saying how awesome he is, yet they said as well that he was Rolle who “lit the fire” after the WAS2 loss. Rolle is the guy who motivated this D into what we see now. Watch out for short memories. At the end of a day I’ll take a SB win followed by 3 mediocre years any time though.